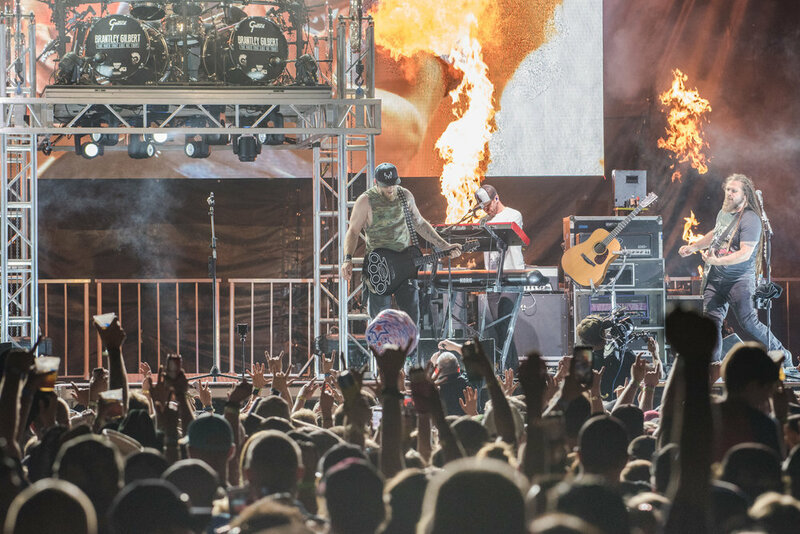 Brantley Gilbert raised the bar last night…literally. The drummer was raised on a lifted stage, so even if you were in the campgrounds you could see him. Instantly, once people saw the stage, the excitement cranked up a notch. When Brantley stepped on stage, the crowd went crazy ready to lose their voices screaming to the music. Gilbert took his time to make sure everyone got a shout out on his set. You could hear the “ahhhhs” when he announced that his wife and son could not be at the show with him and he wanted to dedicate the next song to his wife. He started strumming his popular song You Don’t Know Her Like I Do. The crowd swayed with him and made sure that he knew everyone was helping him feel like his wife was by his side. Not only did he sing for his family, but he sang for our troops. He mentioned that recently his life was flipped upside down when one of his own was sent overseas. This was his moment to pour out everything he had for the ones who dedicate their lives to saving ours. The people saluted right back by helping him sing One Hell of an Amen. Proud of his rock-country vibe and American pride, Brantley Gilbert rocked out until the last possible second. With a video playing in the background for every song, the whole performance was a spectacle. Gilbert even performed a small acoustic set and sang My Kinda Crazy, admitting that he wrote the song to make his wife jealous before they got together. He was also happy to inform us that the song worked! 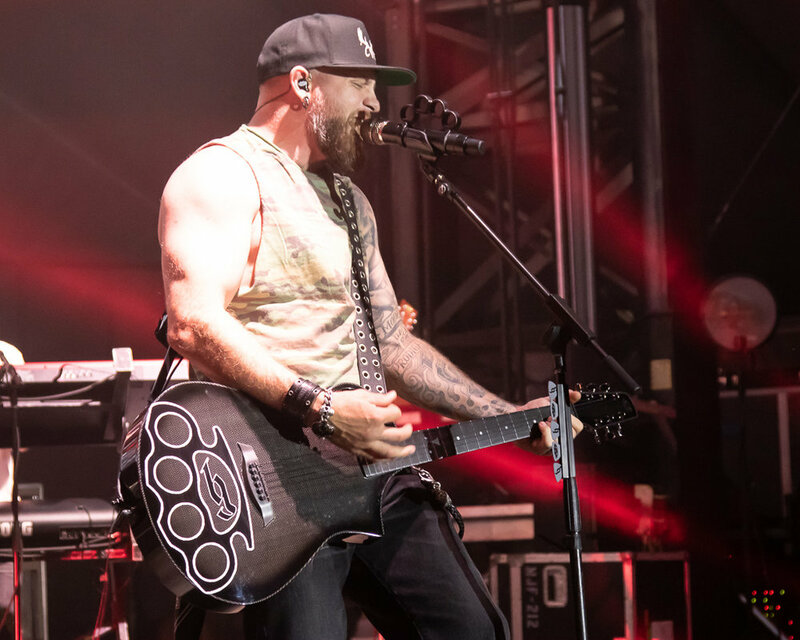 Brantley Gilbert was welcomed into the concert bowl on Friday night and would be welcomed back again in a heartbeat. With his guitar playing, powerful voice, and prideful lyrics, Gilbert ended the night on a high note and started the party that went into the night.